DRINK BEER. GET BOOTY. OK, I'm in! I've been trying that strategy unsuccessfully for two decades around this place! 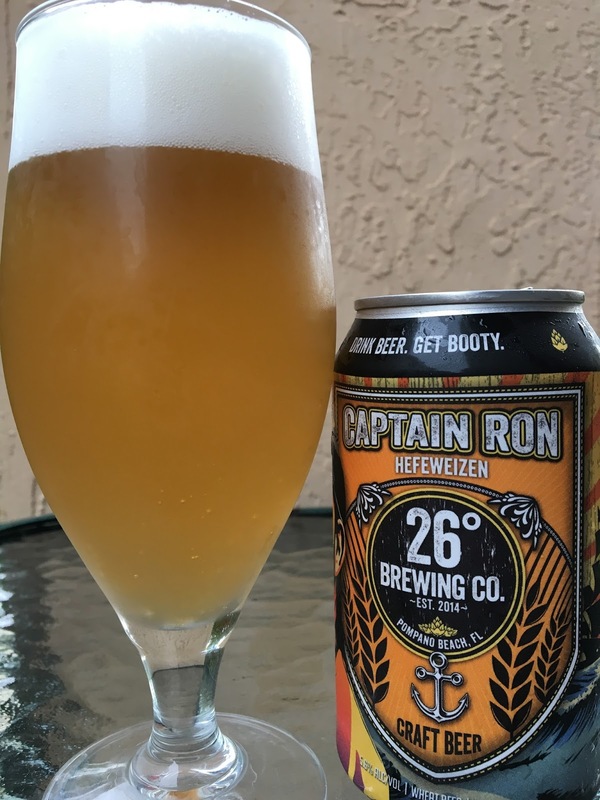 26° Brewing Captain Ron Hefeweizen out of Pompano Beach is now being canned and distributed around South Florida. Captain Ron makes a great appearance on the can, but a Wannabe Pirate theme story on the can ends with "Craft Beer Pirates." 5.6% alcohol. Bananas and cloves aroma, very nice. Banana flavors, tangy, yeasty, cloves, with just a touch of lemon. 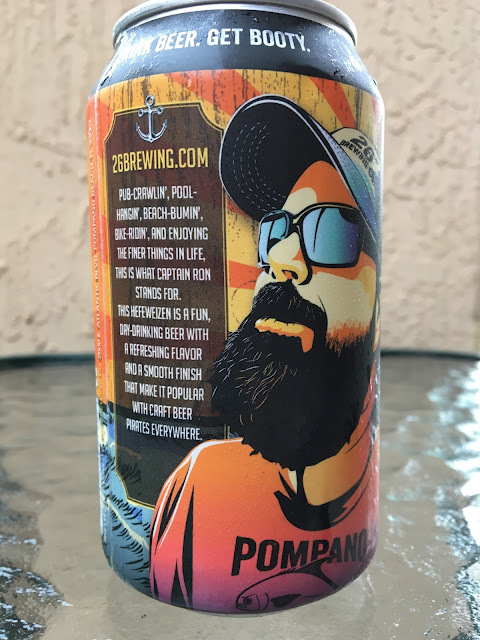 Very pleasant flavors and for sure a "Fun Day-Drinking Beer With A Refreshing Flavor." Creamy texture. I liked it and so did my wife. Trying to get more booty!